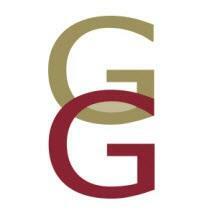 Giddens & Gatton Law, P.C., is a highly respected law firm with a long-standing history of success. Our legacy of quality legal services spans nearly 20 years. We continue to grow and flourish based on a core dedication to meeting clients' needs. Based in Albuquerque, New Mexico, we serve clients ranging from individuals to businesses, banks, lenders and creditors - including out-of-state businesses with local matters. Our areas of practice include consumer bankruptcy, creditors' rights, real estate, business and commercial litigation, employment law and personal injury. In each of these areas, we combine extensive legal knowledge with detail-oriented representation, leading to our strong record of proven results. Our legal team includes top-rated attorneys who are well-respected among their peers. Several have been selected for inclusion in Southwest Super Lawyers, among other honors. The firm's founding attorney, George "Dave" Giddens, is widely regarded as an authority on bankruptcy practice in the Albuquerque area. All of our lawyers share a commitment to excellence. We also give back to the community through active involvement in professional and charitable organizations. To learn more about any aspect of our practice, please call 505-273-3720.